I recently had an opportunity to grab up some of my vaping gear and climb aboard the Disney Dream for a quick 3 night cruise with the family. 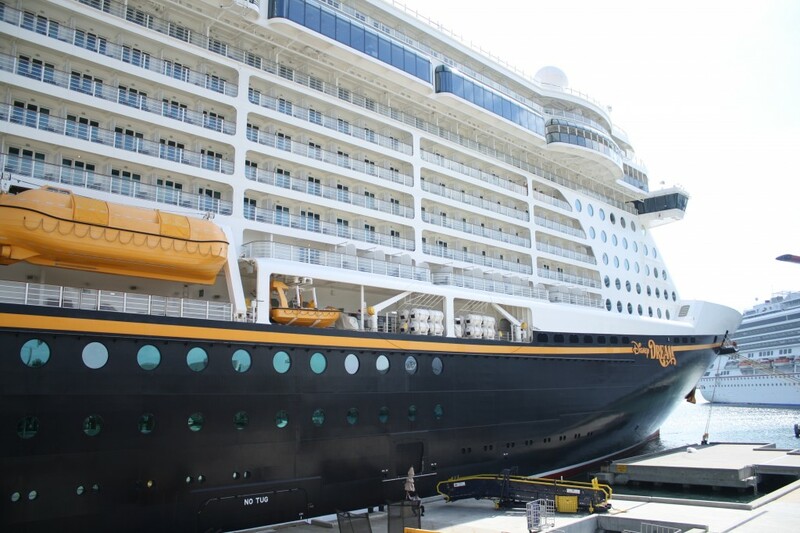 Unfortunately, as guest poster Daniel recently pointed out Disney is one of the cruise lines that does not have an e-cigarette friendly policy. This image was taken from the port terminal smoking area. Now, far be it from me to advocate anyone break any sort of policies. It’s a business’ right to dictate what you can do an and with their property. If you choose not to go with that, that’s on you. I’m just sharing what it was like for me as a vaper aboard the Dream. 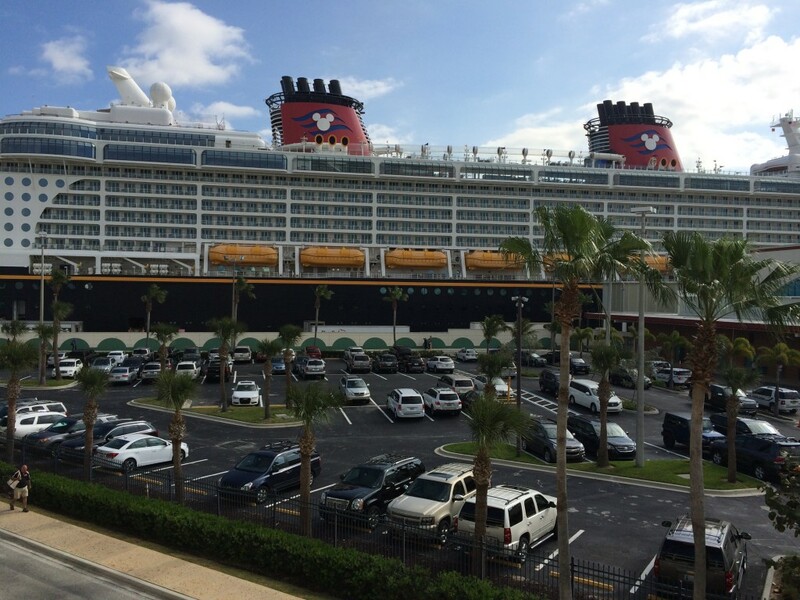 Disney Cruise Line has never allowed smoking in Guest staterooms. In addition, smoking is prohibited in all interior spaces throughout our ships and beginning November 15, 2013, smoking will be prohibited on stateroom verandahs. In an effort to provide a cruise experience that satisfies both our non-smoking and smoking Guests, smoking (including the use of electronic cigarettes) is only permitted in designated areas of the ship. 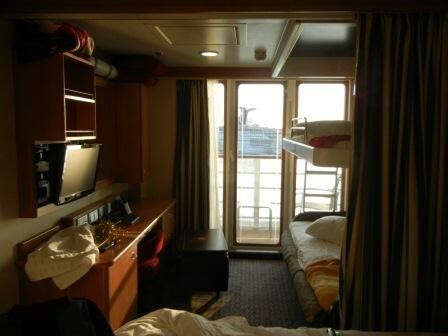 Deck 4 port side, aft, the outside Promenade Deck from 6:00 p.m. to 6:00 a.m. Guests who are found smoking in their staterooms or on their verandahs will be charged a $250 stateroom recovery fee. This fee covers deep cleaning that includes air filter replacement, carpet extraction and the cleaning and replacement of drapes, comforters, blankets and pillows, along with verandah cleaning and maintenance. Previously, the line allowed smoking on verandas but enough people complained about downwind smoke that Disney adopted this new policy. At the same time they decided to roll e-cigarettes into the whole deal as well. Let’s start off with the legit areas to use an e-cigarette on the Disney Dream. Deck 12 and 13 are both totally open air with no shade or, more importantly, protection from the wind. When the ship’s underway or the weather’s bad out, these are pretty unhappy areas to be. At least the Deck 13 location has a nice bar immediately in the area. The deck 4 location you can use at night is protected from the elements, but it’s its own special version of torture. 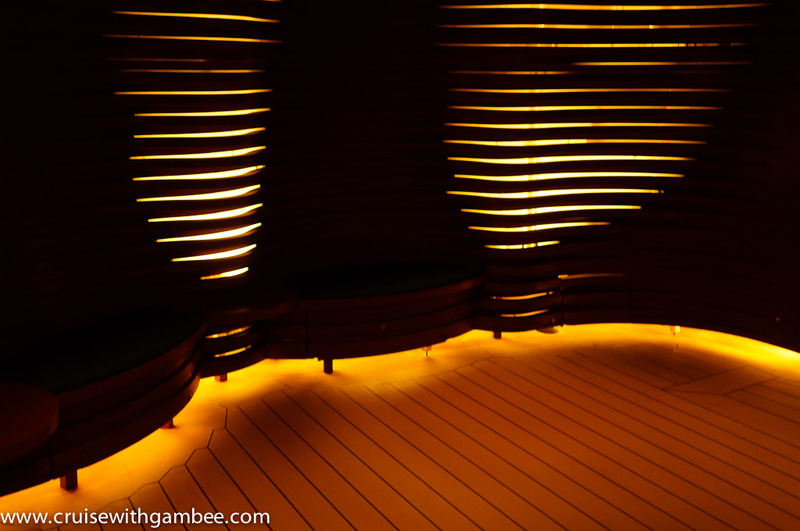 It’s this weird looking cubby hole stylized with swoopy bits of wood that are backlit from inside. It looks like some sort of pod out of Alien. As an added bonus, the design retains heat, so it’s hot and smoky in there as well. Now keep in mind, I left the fog machines at home and had just some simple gear with me. Mostly an MVP and a couple Vision Spinners and various Pro Tanks. Primarily, I was interested in enjoying a nice vape without making a scene. As far as the staterooms go, I wasn’t overly concerned. Obviously e-cigarettes don’t stink everything up or burn stuff. Speaking of which, they’re not very fond of fires on cruise ships. To that end my tiny stateroom had two smoke detectors. While vapor doesn’t seem to bother the detectors, I’d probably not try to vape directly into them or anything. Not that this is any way an admission of me personally using an e-cigarette in my stateroom. The balcony is similarly easy enough to use. Since it’s obvious many fellow cruisers are paranoid about smoking on the balconies, I’d suggest you’d again want to avoid blowing huge clouds everyone can see from miles away. Unless it’s foggy out, then go nuts. As far as the public areas, those are a tad trickier. The bathrooms are particularly nice because the toilets are all located inside their own little fully enclosed rooms within the public restrooms. But, be aware, the ventilation isn’t that great in there, plus there seems to constantly be a cruise line employee cleaning the bathroom. That’s great, but you don’t want to open your stall door only to see a massive cloud come out the door with you. As far as the other areas went, I didn’t really spend a whole lot of time vaping there. In general, I’m not a very obvious vaper in public. I just took a discrete hit now and again when nobody was around. I did spend some time stealthing while on the pool deck because I didn’t want to run to the bathroom every 10 minutes or something. In those cases, I just took a little puff from my eGo, held the vapor in for a couple seconds. After that I exhaled by placing my upper lip over my lower lip and blowing down. Unless I really goofed the process up, there was no visible vapor. I did the same thing in various hallways and public areas, though never when people were around. One thing I should note is that there are cameras everywhere, so don’t get all crazy. That being said, I think the real thing to keep in mind here is to be discrete. Make no mistake, it’s Disney’s ship and they can make up the rules. By vaping outside of those inhospitable areas, you are breaking those rules. While the claimed damages seems to only apply to smoking since you’re not stinking everything up, you could get slapped with the fees if they somehow figure out you’re vaping on the stateroom. Above all, be courteous and considerate of your fellow guests and the crew aboard the ship. Have you been naughty with vaping on a ship or any other means of transportation? I’d love to hear about it in the comments. NEXT POST Next post: Vapes of Wrath Zombie Kit – I Review… BRAINS!! !